In a cinema season filled with stories of larger-than-life leaders, none are more outsize and hopeful than Harvey Milk, the first openly gay man elected to public office in the U.S. (Milk became one of San Francisco’s supervisors in 1978). Gus Van Sant’s deeply moving, archival-footage-rich biopic of the slain leader—he was killed 11 months after taking office by cosupervisor Dan White (Brolin, excellently depicting the ex-cop’s simmering rage)—doesn’t break any new ground. Milk, like several political biopics, contains its share of awkwardly shoehorned-in speechifying. Momentous political events earlier this month have amplified Milk’s significance. I saw the film two days after the election, leading to an even more heightened response after Penn says, “You gotta give ’em hope.” California’s homophobic Proposition 8 also won on Election Night; in one of Milk’s pivotal scenes, Proposition 6, which would have banned gays from teaching in California public schools, is solidly defeated. 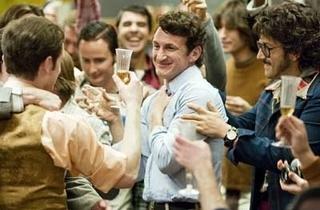 Would an October release date of Milk have helped to ensure Prop 8’s defeat? Probably not; the notion itself is magical thinking. But Milk could achieve something far more wide-reaching. 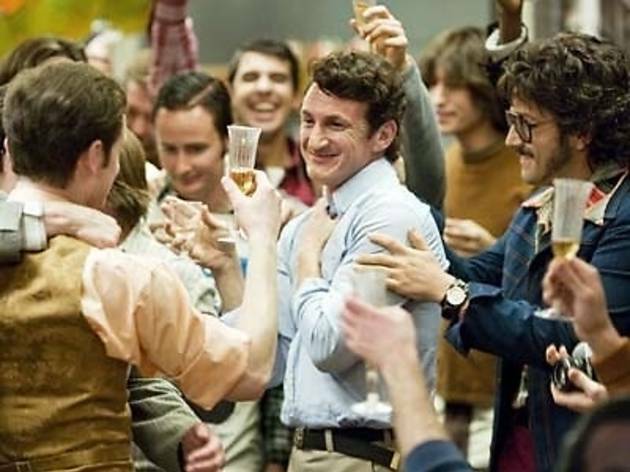 As the film powerfully shows, Harvey Milk believed that one of the most radical acts a gay person could commit was to come out. But the action didn’t stop there; it was merely a first step toward demanding what everyone should have: justice, equality, fairness.